Adam Henrique scored twice, and rookie Troy Terry produced his second consecutive three-point game as the host Anaheim Ducks handed the Montreal Canadiens a second loss in as many nights with an 8-2 thumping Friday night. 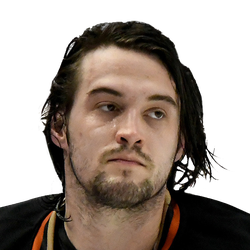 Goalie John Gibson stopped 35 shots for the Ducks, who have won three of four games but are all but mathematically eliminated from the playoff picture, sitting ahead of only the Los Angeles Kings in the Western Conference. The eight goals are a season high for Anaheim, which went into the night the lowest-scoring team in the league. Montreal netminder Carey Price was looking to supplant the legendary Jacques Plante for most wins among goaltenders in franchise history, but he remains at 314 victories after saving 21 of 29 shots. Montreal still holds the Eastern Conference's second wild-card spot, but it wasted a big opportunity. Price did himself no favors, either. He put his team behind with a stinker of an early goal, beaten by a long wrist shot by Daniel Sprong 6:39 into the game, and the Habs never really managed to make a game of it. 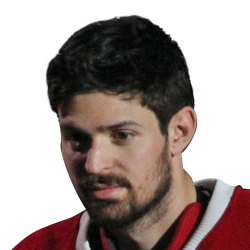 After Henrique doubled the lead at 17:17 of the opening frame, Paul Byron put the Canadiens on the board 30 seconds later, but the hosts pulled away for good with a one-sided second period. Anaheim's Devin Shore and Montreal's Shea Weber traded second-period power-play goals. Terry netted his fourth goal of the season just 62 seconds after Weber's, and then Corey Perry scored with 2:10 left in the second period to make it 5-2. Rickard Rakell, Henrique and Max Jones added late third-period goals. It was Jones' first NHL tally. Terry has collected two goals and seven points in the last three games. The night featured a couple of milestones for blue-liners. Anaheim's Cam Fowler passed Scott Niedermayer for most points by a Ducks defenseman with 265, while Weber's goal was the 200th of his career. He's the 21st defenseman in NHL history, and the only one still active, to reach that mark.